Recently, I posted about my first grilling session of the season. Another great pleasure of the season, for me, is gardening. I’ve posted several times about my love of fresh produce, and there is nothing fresher than produce that is grown right in my backyard. 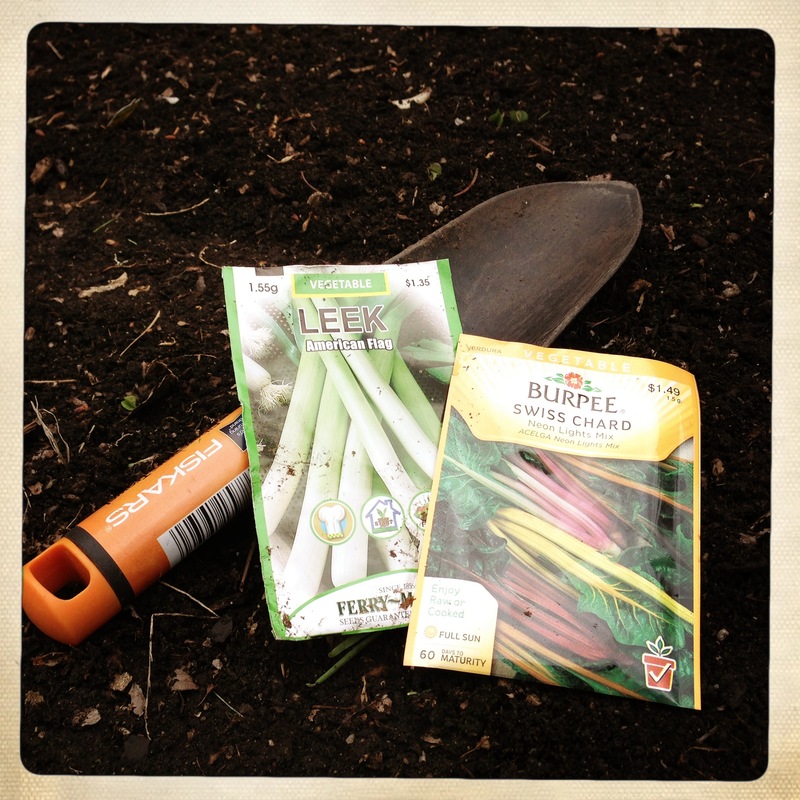 Every spring I plant a variety of staple veggies as well as a few wild cards. 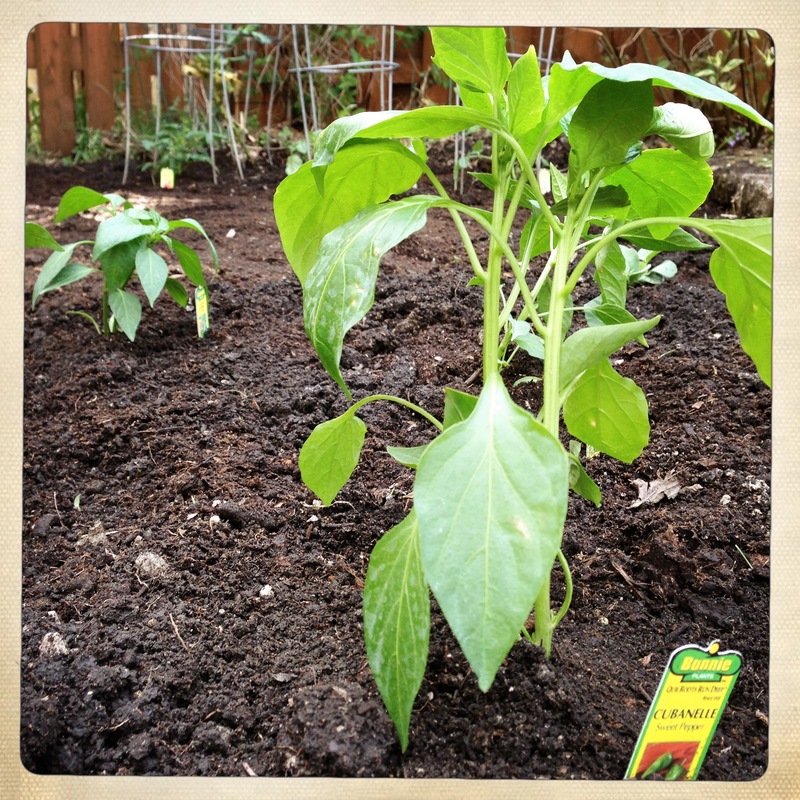 The staples include a variety of peppers and tomatoes as well as some swiss chard. This year’s wild cards are leeks because I use them all the time and cantaloupe because, well, it’s delicious. 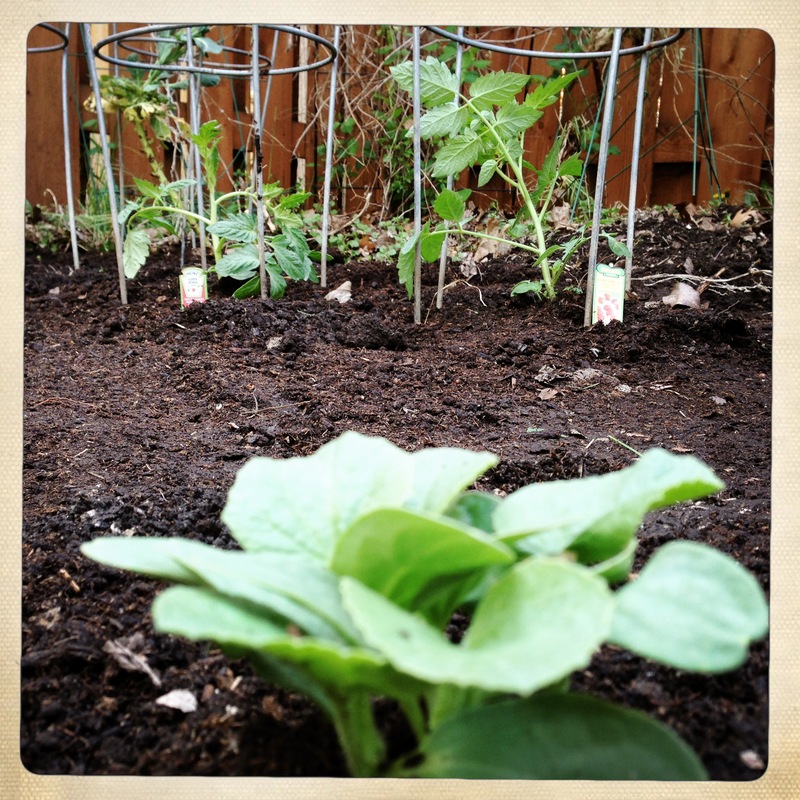 In addition, a few years ago I planted some brussels sprouts. they’re tough to care for, but they keep coming back and I’m hopeful that this is the year I manage to actually get an edible yield. Over the summer, there will likely be a handful of update posts on how the garden is growing, and then come harvest time there will be posts of recipes using all the fresh fruits and veggies I’ve grown. 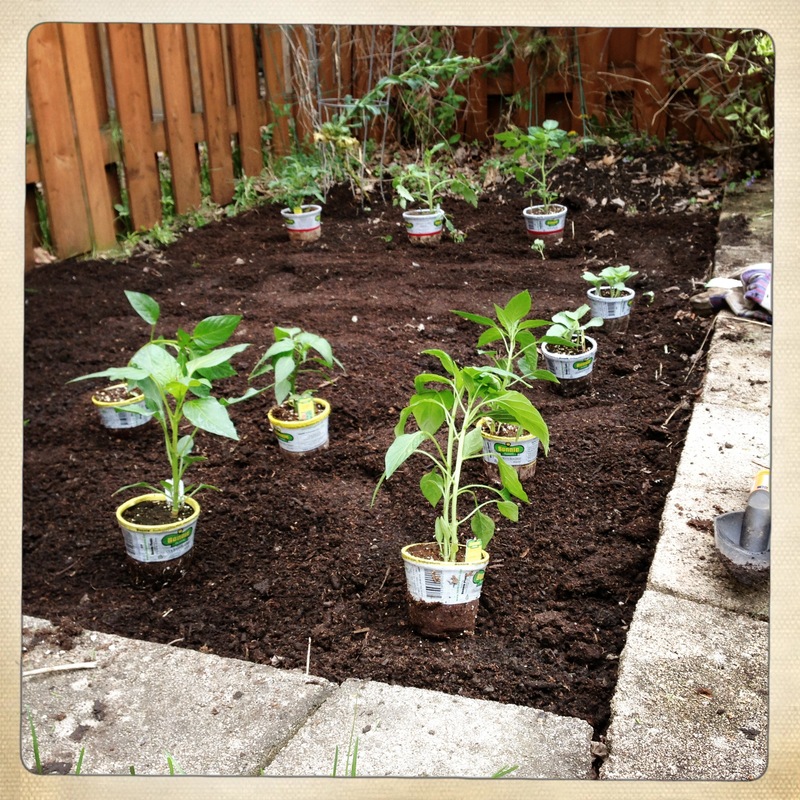 The rest of this post is going to outline the basics of how I set up my garden and maybe a few tips for any of you who feel the urge to grow some of your own ingredients. First off, you have to prepare the ground. I use a heavy garden rake to remove all of the weeds, leaves and remnants of the prior year’s garden. 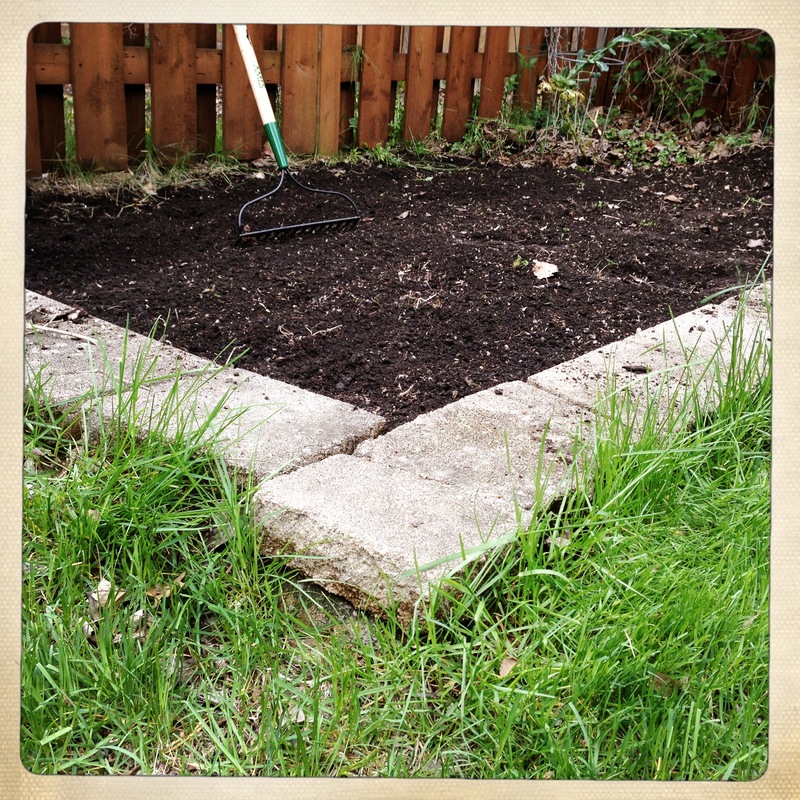 I also add a bag or two of fresh garden soil and mix it into the old dirt with the rake. I use mostly small plants to get my garden going, but I do grow a few things from seeds each year as well. Chard in particular grows well from seeds. The brussels sprouts grew from seeds a few years ago when they started out. I like to lay out the whole garden before planting anything in the ground so I can get a feel for how things will fit together and make sure I have enough room for everything. Much like the “measure twice, cut once” rule in carpentry, this prevents having to transplant things once they’re in the ground. Once everything is laid out and planted, I give the garden a good soaking. I use a porous soaker hose because it gently waters the garden evenly and uses a lot less water than a sprinkler. Most of the plants I grow are pretty hardy and capable of going a few days without water if I get busy, but it’s pretty important to make sure to water everything thoroughly for the first few days while the plants adjust to their new home. Additionally, if you’re growing things from seeds, they will need a lot of water to activate and start growing. 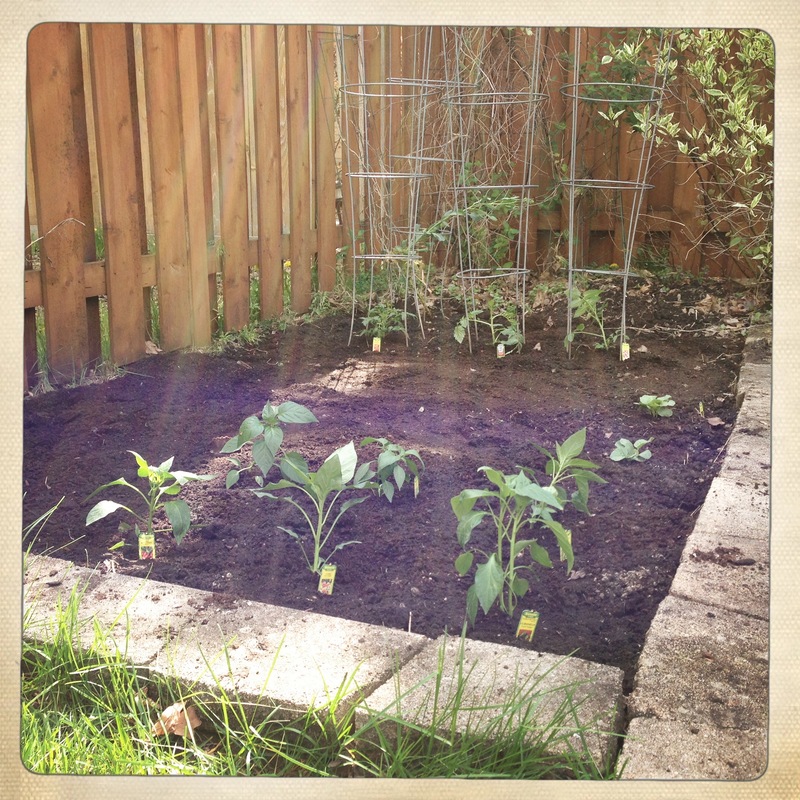 Shortly after I finished planting this year’s garden, the sun came out from behind some clouds. I happened to catch a pretty cool shot of the sun beams shining through a tree down onto my little plants. Hopefully it’s a sign that this year’s garden will be the best yet! Time in my garden is a great stress reliever, and knowing that my yard will be full of fresh veggies in the coming months is a nice bonus. I can’t wait to taste the results and come up with some new recipes to share with you all soon!